Tell me something your self? What are the activities are you doing daily in your project? Tell me ratio's of sql,pl/sql&unix? Diff b/w primary key & unique key ? Diff b/w primary key & unique key + not null? What is the use of views? If table dropped, then what happen view? What is index?types of indexes? Which functions are not supported to index? 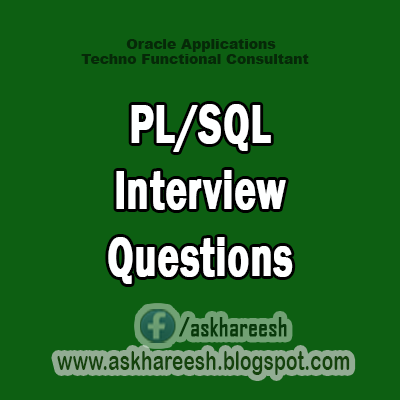 What are the datatypes avilable in pl/sql, not in sql? What is the main use of %type,%rowtype? What is cursor? Types of cursors? Diff b/w explict cursor & for loop cursor? Can you call procedure in select statement? What is the use of packages? How to drop package body only? Can use pragma_autonamous_tranctions in packages? Tell me some strong points in your boss?